Chiang Mai in north Thailand is a popular travel and holiday city for foreigners and locals. Chiang Dao, Doi Inthanon and Mae Rim are good destination for traveling in Thailand. Nearly in every village in the Chiang Mai province you can find Guest Houses, Resorts and Hotels in all price ranges. In Chiang Dao is the Rim Doi Resort a good option for accommodation in this Thai province. The most luxury hotels and boutique resorts for deluxe vacation and honeymoon are in central Chiang Mai city and on the riverside of the Mae Ping River. Around Tha Pae are some great accommodations and hotels in Chiang Mai for a pleasant time in northern Thailand. The Imm Hotel for example is a good and cheap middle class hotel near the main sights of Chiang Mai. Inside the city moat are some guesthouses and travel hostels which offer budget accommodation in Thailand. Maa T Nee guest house and Fuengfa Place Hotel are good addresses for backpacker and long time tourists in this beautiful town in Southeast Asia. The Winner Inn Hotel Chiang Mai is as well a good hotel in Chiang Mai with reasonable prices. The most boutique hotels and luxury resorts are next to the Night Bazaar. The Mandarin Oriental Resort, Four Seasons Resort and The Chedi Hotel are top hotels with a good service and deluxe rooms and suites in CM town. 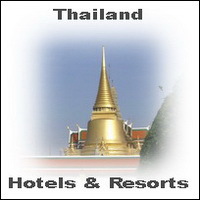 Here you can find accommodation offers and the best Chiang Mai hotel deals. Grub in over 150 Chiang Mai Hotels and save up to 75%. This online system for hotel reservation system will help you to find the right Chiang Mai accommodation and hotel deals for your requirements.